Joondalup Country Club is the best public access golf club in Western Australia, and is regarded as one of the great golfing challenges, not only in Australia but also internationally. Joondalup is simply the “Best of the Best in the West”! With 27 championship golf holes designed by internationally renowned designer, Robert Trent Jones; a modern & contemporary Clubhouse, Golf Shop, and excellent practice facilities, Joondalup Country Club has it all for the keen golfer. Joondalup Country Club is usually the first stop for golfers visiting Perth, in particular golfers from South East Asian countries such as Singapore, Malaysia and Thailand where golf is an elite sport, and much more expensive than the golf courses of Western Australia. In addition to the magnificent golf facilities, Joondalup Country Club has its own 5-star resort adjacent to the golf course. Nestled in natural bushland just 30 minutes north of Perth CBD and five minutes from WA’s Sunset Coast, the Resort offers an oasis of relaxation, comfort and state of the art facilities, including a convention and wedding reception area. Few golf courses anywhere in the world offer the dramatic contrasts, the scenic beauty and the sheer golfing challenge of Joondalup Country Club. 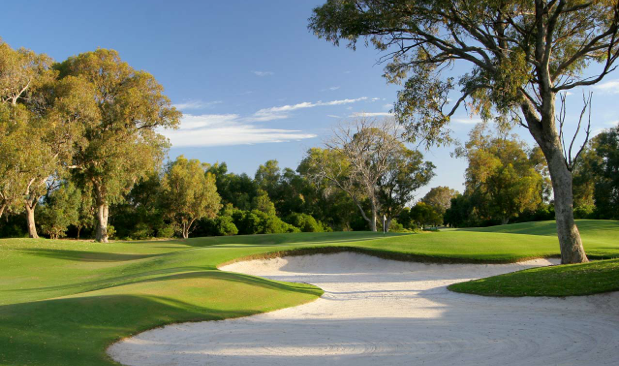 Designed by the internationally renowned Robert Trent Jones Jr, this Perth golf course presents a tough, uncompromising lay-out, featuring great variation in setting and style. 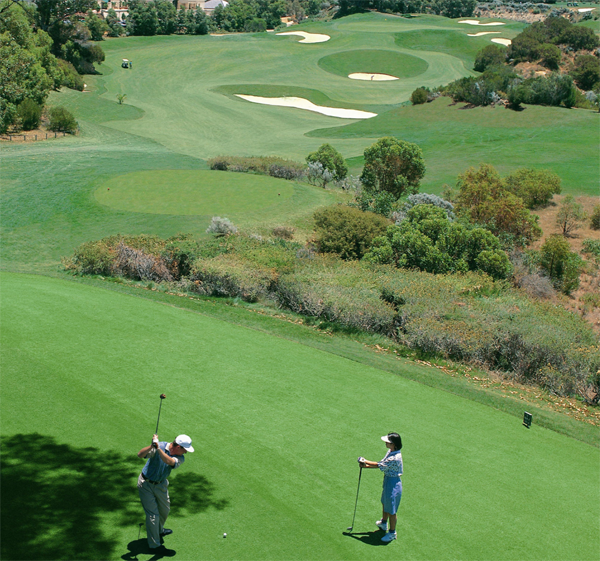 Joondalup comprises 27-holes of pure golfing exhilaration with three distinct and unique nines. The Quarry nine is the most spectacular and stunning of the three courses … 6 of the holes are designed around abandoned limestone quarries that both thrill and intimidate the very best of golfers. Fortunately, four series of tee boxes allow the golfers of varying standard to leave their egos on the first tee and enjoy the challenges without feeling overwhelmed. The Dunes nine has some spectacular holes also through the limestone quarries, with the 3rd, 4th and 5th holes some of the most interesting, requiring great strategy to gain par or better! Major elevation changes throughout the nine make fora rollicking and fun-filled round and great post-golf conversations in the Clubhouse. The Lakes nine offering is slightly less dramatic than its siblings, but certainly no less enjoyable with more quarry holes, a couple of short par 4’s and two spectacular par 3’s. The closing hole, a downhill Par 5, 530 metres from the tips provides an amazing risk / reward hole to settle the side-bets and bring out the best in the competent golfer. A good drive sets you up for a shot at the green with your second … however you have to carry your ball over a lake that guards the green on two sides and deep bunkers on the other two sides! A spectacular finishing hole on what is a memorable golfing experience whether you played well or otherwise. This 5 star resort hotel has excellent and modern guest facilities including a fine dining restaurant, a relaxed café bistro and a British style pub, as well as a large outdoor swimming pool and bar. Free parking and WiFi add to the value of staying at Joondalup Resort and just walking from your hotel room to the first tee is a treat in itself. The resort is renowned for its modern and elegant Wedding Reception rooms, as well as purpose-built conference and function rooms. Joondalup Country Club and Resort are located in the suburb of Connolly, which is part of the City of Joondalup. It is only a 30-minute drive from the Perth CBD, and a 5-minute drive to some of the best beaches of Perth along the Indian Ocean. You can stay at the Resort and just relax and enjoy the golf and the resort facilities, or stay in the Perth CBD and make the short drive for that promised golfing experience. 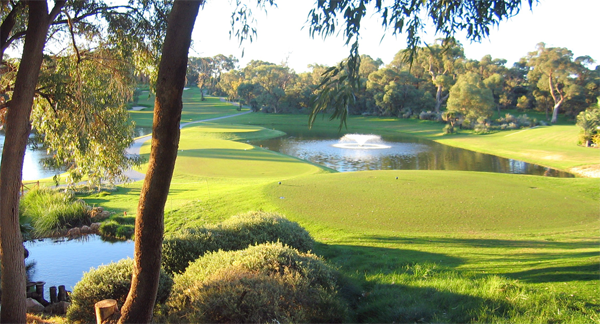 International Golf Specialists (IGS) take many clients to Joondalup Country Club and work closely with the Club management to ensure the very “best in the west” golfing experience. Our special 3-night golf package at the resort includes 2 rounds of golf from $715 per person. IGS also has apartment-style accommodation in the Perth CBD and can offer the 3-night package for less than $650 per person. Private transfers can also be included as well as personal hosting and advice on local attractions, touring and dining. Come and experience the “best in the west” at Joondalup Country Club and arranged by International Golf Specialists! Ah, Summer … the warmer months are with us, a time that heralds the prospect of your best golf to match the best time to be outdoors and enjoying an “Aussie” Summer. Maximum daylight provides the extra time for a golf round or some additional practice to get your “A game” ready for the Club competition or an enticing golfing holiday. During November & December, International Golf Specialists has been handling and hosting golf groups to Perth, Western Australia; Barnbougle Dunes in Tasmania and Queenstown, New Zealand. In addition, you may have seen some coverage of the European PGA Tour event, the Afrasia Bank Mauritius Open held at the Four Season Golf Club in Anahita, Mauritius. Watching this event brought back memories for me of playing this championship golf course designed by South African, Ernie Els and a number of other exceptional golf courses in Mauritius … still my favourite golf holiday destination! A recent Australian Golf Digest edition has rated Perth, Western Australia as one of the leading golfing destinations in Australia. The quality of the public-access and private golf clubs combined with superb weather, al fresco dining and a vibrant bar scene make Perth a “must visit” city for a relaxed and enjoyable golfing holiday. IGS has preferred accommodation and golf rates and tee times with all the leading Perth courses and can tailor a golf package to suit your golfing requirements and budget. Just contact us and we will show you that International Golf Specialists creates “great golfing experiences”! IGS arranged a golf tour for a group of 5 golfing couples from Perth visiting Northern Tasmania in November for a short golf trip together. The group leader had requested International Golf Specialists to put together a golf tour, but ensure there are other touring aspects to trip. The group arrived into Launceston on the Sunday and transferred to Country Club Tasmania for a couple of nights at this 5-star international resort. The resort has a Peter Thomson designed international-standard golf course, together with many entertainment and recreational facilities that are all a part of the offerings at this exceptional and unique Australian resort. 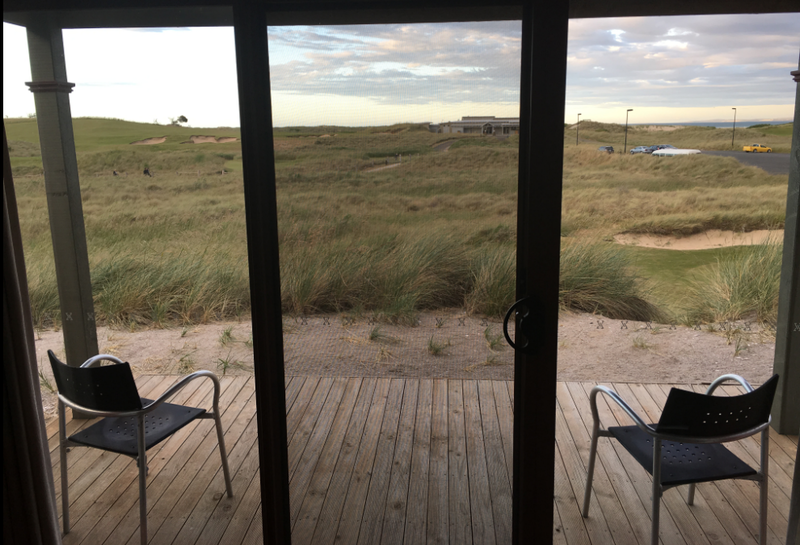 After Launceston, it was off to the amazing Barnbougle Links Resort located 80 kilometres north east of Launceston, just near the seaside fishing village of Bridport. This is an incredible golfing destination … two purpose-built links courses, the older Dunes course and the newer Lost Farm course. Both are constructed within and around the sand dunes of the Forrester River, and sit adjacent to Bass Strait. 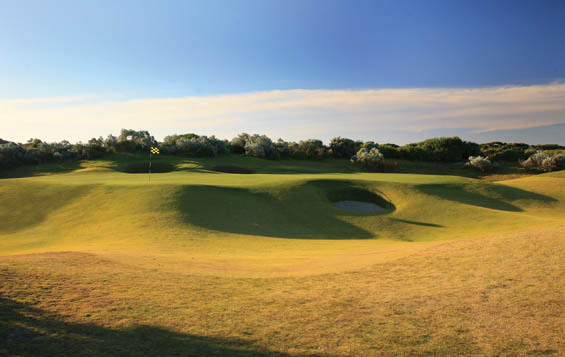 Both courses have famous American designers, Tom Doak (Dunes) and Bill Coore & Ben Crenshaw (Lost Farm) and are designed on the lines of the famous British and Irish links courses. The Dunes is only 15 years old, but looks like it has been around for a hundred years. 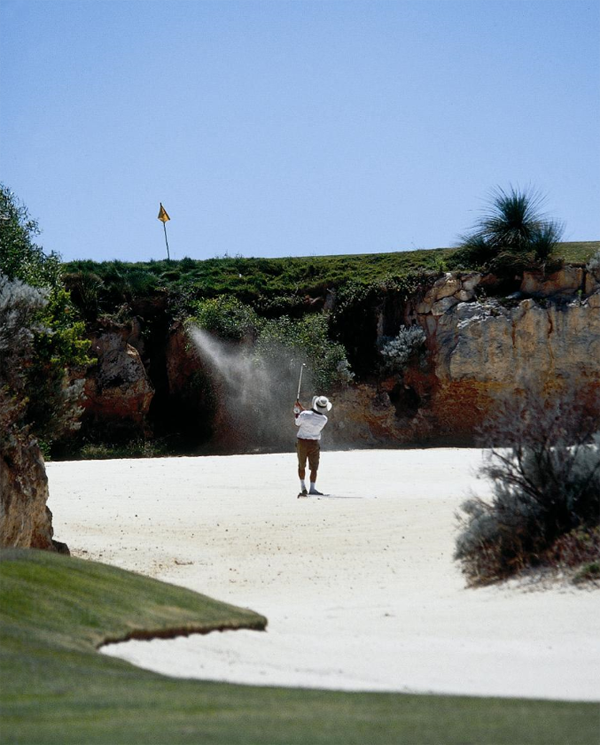 The Dunes course is Australian Golf Digest #2 rated Public Access course in Australia … Lost Farm is #3! Apart from the golf, the group did some wine tasting along the Tamar Valley Wine Trail and delighting in the local seafood of the Bass Strait directly from the Fishermen’s Co-operative of Bridport. We have a regular golf client group travelling to New Zealand next week for a week of golf in Queenstown and then driving to Christchurch via the Alpine Way through Otago and Canterbury. Queenstown is an all-year round tourist destination where Winter sports combine with other outdoor activities such as golf during the warmer months. The group will be playing exciting golf courses such as Jack’s Point, Millbrook and Queenstown Golf Club. Jack’s Point, situated on the shores of Lake Wakatipu and with a backdrop to the slopes of the spectacular mountain range, The Remarkables, the scenery is so visually stunning that golfers could be forgiven for losing focus on the game at hand. 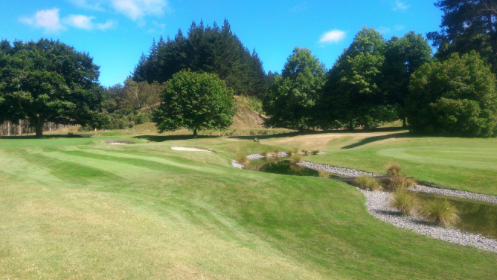 Millbrook has just recently hosted the New Zealand Open to rave reviews and Queenstown Golf Club is a golfing perennial favourite due to its peninsula location with Lake Wakatipu on three sides of the layout. The group will also be experiencing the ShotOver speed boat; a lake cruise to Walter’s Peak, a working farm on the other side of Lake Wakatipu and wine-tasting at some of Otago’s best wineries. If you are a keen golfing enthusiast, like to travel to exotic destinations, and enjoy a holiday in luxury, then Mauritius is for you. Great international standard golf courses and beautiful resorts await you in Mauritius … only an 8-hour direct flight from Australia. Flying 3 times a week from Perth, using modern Airbus wide body aircraft, you can leave Perth at lunchtime and be enjoying your evening meal in one of the many five-star resorts that Mauritius is renowned for. There are some great ways to kick back and unwind, but the best type of holiday, for we avid golfers, is the kind where the largest item we check into the airport, is our golf bag. Golf tourism is growing throughout the world and there are many incredible destinations offering fantastic golf and off course attractions - so you can enjoy the local golf and culture in the most relaxing way possible. For those from the eastern seaboard wishing to holiday locally, or for our overseas guest visiting Australia for their golfing getaway, there are few places that offer as many great courses, in such close proximity to one another, as Perth does. Mixing up the type of golf experiences with some of the country’s best links layouts including Kennedy Bay and The Cut and adding in Joondalup Resort, Meadow Springs and Araluen is an example of a sure fire way we provide our guests with the best possible golfing holiday when they visit WA. 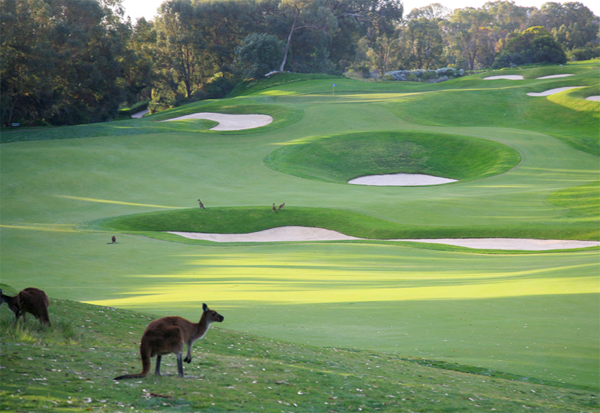 IGS offer a range of golf travel packages Australia to suit every golf and non golfer. The European Tour sanctioned ISPS HANDA Super 6 Tournament debuts at Western Australia’s Lake Karrinyup in February and will mark the first major change in competition format for quite some time in professional golf. IGS will be providing options of packages to Perth for everyone wanting to come and check out this world first event at the state’s premier golf course, while taking in all the golf and activities the WA has on offer. February is a fantastic time to visit Wester Australia. The weather is hot during the day and perfect for getting out and enjoying everything on offer throughout the city in the evenings and at night. International Golf Specialists continues to grow and add more tours and destinations to our already impressive selection. 2017 will see more hosted tours to Vietnam, Thailand and Tasmania and we will increase our New Zealand product to include exciting tours throughout the North Island. There is no destination quite like New Zealand and the country is blessed with some of the best golf courses on the planet. Cape Kidnappers, Wairakei International, Kauri Cliffs and Kinloch are just a few of the most talked about courses throughout the North Island. To the South and the holiday destination of Queenstown boasts the likes of Jack’s Point, The Hills, Millbrook and Kelvin Heights. Many of the world’s rich and famous own property in Queenstown and spend a good chunk of their time living there, and one visit to this amazing place is enough for anyone to see why. The golf is just one of the attractions, with courses set against some of the most spectacular backdrops imaginable, plus the town itself offers some of the best experiences and adventures to be found anywhere in the world. Whatever destination you would like to visit, to combine that region’s best golf with a relaxing holiday, speak with the team at International Golf Specialists about putting together the perfect itinerary for you and your touring party. We golfers all have our favourite golf course. This may be the course where you grew up playing or the one where you have had some of your best scores. Or it may be where you have not necessarily played your best golf but where you’ve had some of the most memorable times with your golfing buddies. Whatever your reasons for liking a particular track or even style of course, thinking back to some of your best and worst games is sure to bring back some great memories. The days where you are playing well and the game seems just too easy are always a highlight, but so too are the times where you’ve made an uncharacteristic triple bogey on the easiest hole on the course and received a roasting from your highly supportive ‘friends’. Being a member of a club is always good for your game and a great way to make new friends on and around the golf course and its facilities. However, it’s also good to get out and try a different course from time to time, especially if that course is harder than your home track. Links golf is a great way to test how you’re playing and how your mind is working when it comes to approaching each shot and how you’re thinking about scoring. We can become a little too accustomed to the course we play each and every week and we can sometimes go into ‘autopilot mode’ when it comes to club selection and the type of shot we are going to hit. If you are not a member of a links style golf club, then it’s always a good idea for you to find a reasonably tough links course and see how your game really stacks up. Links golf is how the game was original designed to be played. Shots need to be thought through more thoroughly and odd bounces, strategically placed bunkers and a battering from the elements are all aspects of links golf that can require more focus than a game at your regular golf course. Faults in your swing or putting stroke will be shown up more readily at a links course, and the tough conditions can also expose any mental fragility. The thing about the occasional round of links golf is that it will improve your focus for when you return to your home course. Rather than playing ‘target golf’, you will find yourself looking for the exact spot you want to land your ball on a fairway, the flight of your approach shot to a green and the best place to leave a shot should it not come off exactly as you planned. These are all important considerations when playing at a links course and they generally have larger greens than normal so your long range putting will also be tested. There are fantastic links courses throughout the world and two of the best are found in Western Australia. The Cut and Kennedy Bay, just south of Perth, are both super layouts and, although testing, are a must play for anyone living in or visiting WA. International Golf Specialists Barnbougle Dunes hosted tours are a highlight for both guests and the IGS staff every year. Barnbougle and Lost Farm are rated amongst the best golf courses anywhere in the world and the return year after year by many of our guests is a credit to the courses and the tours themselves. IGS also offer the Barnbougle experience as a package and this incredible part of the golfing world along the coast of Tasmania can be accessed 365 days a year. These tours will test all your golfing abilities and will chisel a place in the heart of anyone still unconvinced that links golf is the game at its purest. Wherever you would like to enjoy this wonderful game, the team at International Golf Specialists have the experience to develop the perfect golf holiday for you and everyone in your travelling party. Our contacts throughout Australasia, South Africa and Mauritius give us access to the best courses and tee times. The first-hand knowledge we have of each of our destinations means we will create a golf holiday which provides the convenience of locality to the courses you play, with all the other attractions at your chosen destination. The playing fields for the game of golf are like no other in the world of sport. Golfers are spoilt for choice with the variations courses present between different regions of the world. Even courses in close proximity to each other can provide varied challenges and a completely different golfing experience to those around them. While every sport has its great venues, the amateur players in their respective sports can only dream about playing at these hallowed grounds. This is where golf differs, with many of the greatest courses in the world that play host to the game’s biggest tournaments, also opening their doors to the mere mortals of the game, allowing the everyday player to try his or her skills against the same layout that the world’s best compete on. International Golf Specialists can create the ideal itinerary for golfers wanting to take in some of these once in a lifetime courses and many of the best are a lot closer and more accessible than you may think. From Barnbougle Dunes and Lost Farm in Tasmania, Cape Kidnappers, Kauri Cliffs and Jacks Point in New Zealand and the best courses throughout Asia, the perfect golf holiday awaits those of us who enjoy playing the greatest game of all. I have just returned to Perth after hosting the Melville Glades golf tour to Barnbougle Links Resort and Thirteenth Beach Golf Club. Our last round today was at the Creek course, designed by (Sir) Nick Faldo and was a fitting finale to a great golf tour. Both the Creek & Beach courses were in excellent condition and the challenging layouts were much appreciated by the golfers. Max Warburton won the final event, with the “dad’s army” team of Bruce McGow & Bruce Woodward putting on a good showing with their best rounds of the tour. 5 rounds of golf in 6 days have taken its toll on many of the group, including myself. A couple of the group played 27 holes most days, and still managed to be the last to bed. All agreed it was a special & memorable golf trip, and are already talking about a return to Barnbougle next year. The game of golf is growing around the world with more and more people taking up the sport, or returning to the game. Also on the rise is the golf tourism industry with many travellers nowadays choosing to combine a trip abroad with the chance to play at some of the best courses on offer at their destination. Arranging your own golf tour can often be a lot more difficult than it sounds and accessibility to courses you may want to play can sometime be difficult and frustrating. By arranging your golf holiday through International Golf Specialists, you can take advantage of our priority tee times and great rates at some of the best courses on the planet. We also know and can recommend what else is on offer at each location, having visited the best hotels and attractions and of course played the top local courses. Whether you are looking for a weekend away to Bali with a couple of your golfing friends or a two-week tour through New Zealand, Thailand or Vietnam, speak with the experienced team at International Golf Specialists about arranging the easiest and most convenient of golfing getaways. Brett Rumford has won the West Australian PGA in a thrilling championship played at Kalgoorlie Golf Course, which kick starts an exciting summer of golf in WA. Rumford, a five time winner on the European Tour, won the event by two shots from Daniel Fox. This is a fantastic win for the 38 year old West Australian who, in March this year, had a life threatening health scare requiring emergency surgery while he was in South Africa. Located 600 kilometres east of Perth, Kalgoorlie Golf course is rated as one of the best desert layouts in the world. It’s sheer length from the back markers and need for accuracy from the tee means it challenges golfers of all abilities. Western Australian golf holidays arranged by International Golf Specialists give visitors fantastic golf. The ever popular Joondalup Resort just north of the city has 27 magnificent holes and the southern corridor south of the city offers huge persity at courses located in close proximity to each other. Combine this with everything else on offer in WA’s capital, and a summer golf escape toPerth gives the golf traveller a well-earned break and the chance to experience some of the best golf in Australasia. 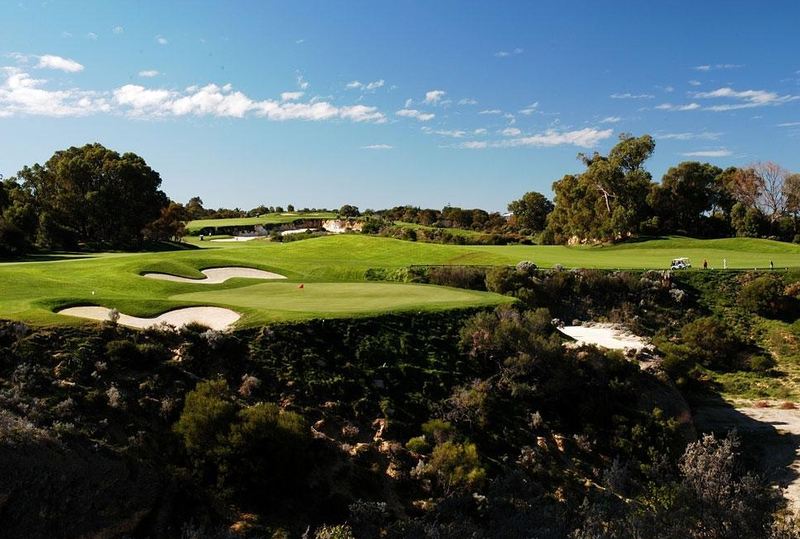 To begin tailoring your itinerary to take in all West Australia has to offer both on the golf course and throughout the state, speak to the team at International Golf Specialists today. Western Australia has a climate to envy and summer brings the state alive. With more sunshine hours than anywhere else in Australia, its capital, Perth, ensures great weather for everything outdoors. Combine this with the great golf courses on offer and all the activities available with the remaining daylight hours after your round, and your evenings can be be spent relaxing and at one of the many quality bars and restaurants around the city or taking in some of the great events on offer. Whatever your taste in food and entertainment, Perth has the remedy for all visitors. The food and wine festivals throughout summer see people from all around the world visiting to experience local cuisine. The recently opened Perth Arena is a world class venue and is seeing some of the best live acts in the world coming to perform in Perth. Arts and music festivals throughout summer are held both indoors and outdoors where patrons can sit back and enjoy their experience under the stars. On the outskirts of the city is the Swan Valley, where some of the region’s best wines are produced. The same area is also home to the world renowned Vines Resort which has consistently ranked amongst the best golf courses in Australia. Whatever your golfing holiday requires, speak to the team at International Golf Specialists to make your West Australian truly memorable. Day 5 for the Williamson group who are visiting Western Australia on an exclusive golf tour hosted by International Golf Specialists. Today finds the group battling it out on one of the most challenging golf courses in Australia. The Links, Kennedy Bay is rated #6 best Public Access course in Australia, and this genuine links layout plays to a 132 slope rating off the members tees. The difficulties lie in the large, rolling greens, tight fairways and small pot bunkers, reminiscent of some of the famous British links courses. Group leader Leigh Williamson described The Links course as “exciting to the eye, but punishing for the wayward shot”. Today is “moving day” for the group’s overall competition, with the final round to be held at The Cut tomorrow. The Cut is similarly challenging with a number of holes routed through an up-market residential estate, and the remainder through wild coastal sand dunes and vegetation, with blind tee shots and large, fast-running greens. Feedback from the group has been very positive, with special praise for the standard of the golf courses and the friendly and courteous manner of the golf club staff. The group head home on Friday, however I don’t think it will be long before we have many of them back in Western Australia for some more great golfing experiences. Being based in Perth, International Golf Specialists are experts in golf groups, and are the leading golf tour operator in the state. We know our local courses better than anyone else and we have the best rates. Our latest Perth Golf Tour, the Wiliamson Group! International Golf Specialists is hosting a group of keen golfers from Sydney this week in Perth, playing some of the best golf courses in Australia. 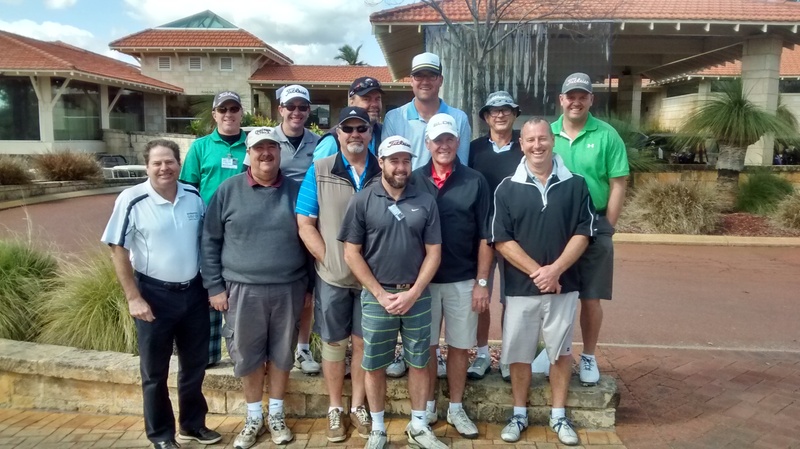 Group leader Leigh Williamson and 12 other members from Mona Vale and Monash Golf Clubs on the Sydney North Shore enjoyed the challenges of The Vines Country Club on Sunday, and then the spectacular Joondalup Country Club yesterday. While the weather was a bit inclement, the courses & top class facilities made for some memorable rounds. The group head south to the Peel Region today to play Meadow Springs Country Club, The Links Kennedy Bay and The Cut over the next few days. 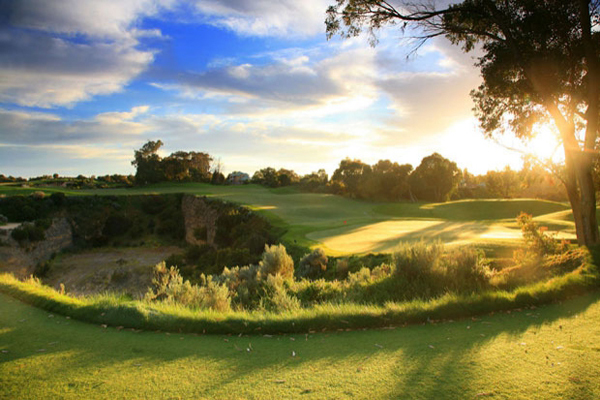 A Perth golf tour is a unique experience with great golf courses, relaxed lifestyle, excellent dining & entertainment precincts and magnificent and spectacular coastal scenery. International Golf Specialists are based in Perth, Western Australia and are the leading golf tour operator in the state. We know our local courses better than anyone else and have the best rates. For more information about the amazing experiences to be enjoyed on West Australia’s golf courses and the superb attractions on offer throughout the state, please contact International Golf Specialists to begin planning your next golfing holiday. We can tailor a golf package to suit your personal requirements. Wairakei International has long been one of New Zealand’s best golfing experiences, ranked in the World’s Top 100 Golf Courses outside of the United States and New Zealand’s Number 1 course in 2010. The course is visually stunning and impeccably groomed. 17 ground staff ensure every step on this beautiful course is one to remember. The perfectly presented fairways and greens which run true each and every time are an absolute treat to play on. Bordered by a 5 kilometre long animal proof fence, Wairakei International is also a nature reserve where native Kiwi are bred and bird life flourishes. Red deer can often be seen venturing from the forests and roaming the lush fairways. Many of the holes here provide a close up experience with New Zealand’s native wildlife. The January morning our International Golf Specialists group played here was perfect for golf. Driving into the course, I found myself for a second wondering why the group of golfers below me were standing on the green with drivers in hand. Such is the conditioning of the course, the tee boxes are easily mistaken as a putting surface. The complimentary practise balls stacked into pyramids on the driving range may add to the feeling you are somewhere exclusive, but the staff and members here are friendly and welcoming and only too happy to tell you all they can to help you get the most from your round. Every hole at Wairakei International is visually stunning. The strategically bunkered fairway on the opening par 5, 1st hole is just a taste of what is to come. Steep changes in elevation, slow running creeks, ponds which are home to all kinds of water birds and the stands of pine trees and native forest make Wairakei International an unforgettable golfing experience. Combine this with the fact that it is also an extremely playable golf course and you have a golfing adventure that is a must play for anyone considering a golfing holiday in New Zealand. Our round at Wairakei International left us asking just one question, how soon can we get back to play this course again? Had our schedule allowed, we would have played again the next day, maybe even that afternoon. With so many activities available in the beautiful town of Taupo, next time we will be allowing enough time for at least two rounds at this magnificent golf course. 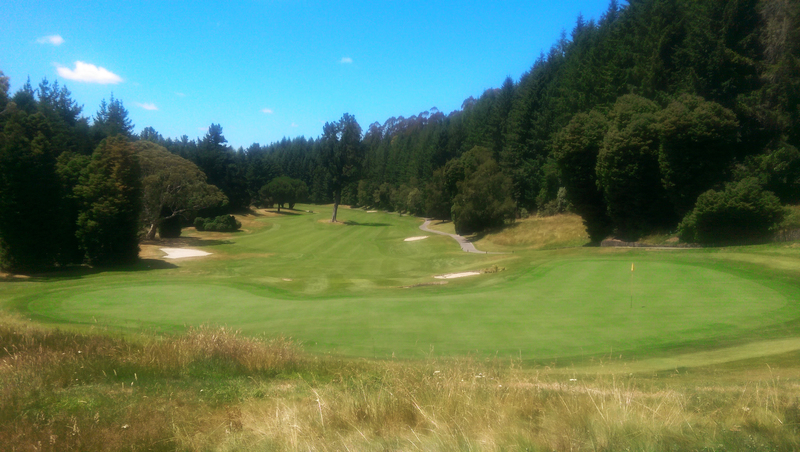 To arrange your New Zealand golfing experience, contact the team at International Golf Specialists today. Combining the top Perth golf courses with the best attractions at any destination is a sure fire way to create the perfect golfing getaway. Perth in Western Australia offers the golf traveller every amenity required to ensure the most memorable of golfing holidays. A stay at the world renowned Joondalup Resort will leave guests feeling a million miles away from the outside world at a place just 20 minutes from the Perth CBD. The nearby beaches and beach side communities are a great way to relax and unwind should you ever feel like leaving the sanctuary of the resort. The 27 holes of golf on offer are superb and one round at this amazing layout will simply leave you wanting more. Located just 10 minutes from Perth airport is the highly impressive Crown Casino. This venue is an entertainment hub with dozens of bars and quality restaurants along with live shows and bands performing every night. Just a short drive to the Perth CBD, accommodation here or at one of the quality hotels in the inner city provides easy access to the incredible golf courses on offer throughout Perth. The links style courses of The Cut and Kennedy Bay provide tough, challenging layouts with pot bunkers, punishing rough and a truly Scottish feel which can often be accompanied by a stiff breeze. These tracks are not for the faint hearted but are truly memorable whether or not you have brought with you your “A Game“. The 36 holes of The Vines Resort Championship layout and the spectacular Araluen Resort have to be included in any itinerary for golfers visiting Perth, as does the historic City of Fremantle where tourists are spoilt with an abundance of activities to enjoy both day and night. The healthy outdoor lifestyle enjoyed by people in Western Australia is a reflection of the fantastic year round climate. This of course means anytime of the year can be the perfect time to visit one of the world’s fastest growing and exciting cities. For more information on combining the best golf courses with all the other attractions around Perth, talk to the team at International Golf Specialists today. IGS offers a range of Perth golf packages. Spring in Western Australia provides perfect golfing conditions. The longer days and increased sunshine hours mean the local courses are in the best possible playing condition, and the calm mornings and warm afternoons make golf at any of the perse range of courses extremely enjoyable. The courses on offer will cater to the requirements of any golf traveller. 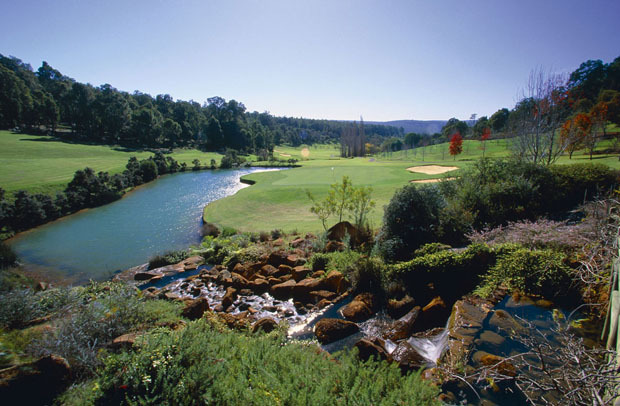 Araluen Country Club is a must play when visiting Perth. With dramatic changes in elevation and spectacular views, its 18 holes wind their way through the beautiful hills region on the outskirts of the city and are some of the most memorable holes you will ever play. Enjoying a post round refreshment and meal on the restaurant balcony overlooking the 9th green at the clubhouse, will ensure this unique course will be remembered alongside the likes of Joondalup Country Club and The Vines Resort Championship layout. For golfers wanting a more traditional challenge, the links style layouts of The Cut and Kennedy Bay Golf Club are two fine tests of golf. These are both testing tracks that will leave golfers longing for their chance for another crack at these spectacular coastal courses. To arrange your next golfing getaway and enquire about all the other spring activities to be enjoyed in Western Australia, contact International Golf Specialists today. For visitors to Perth wanting to play not only the best courses available, but also those that will provide the sternest test of their golf game, here are the six toughest courses in the Perth region and what we believe a 16 handicapper would likely shoot from the back markers. A true links style course, Kennedy Bay is located on the shores of the Indian Ocean. Its 18 holes measure more than 6400 metres and although the firm fairways provide extra yardage and run from the tee, the 110 bunkers and elevated greens make this course a challenge in calm conditions and a brute when playing in the prevailing afternoon breeze. First time players will learn a lot about themselves and their golf game and no matter what their final score, will always want to come back to Kennedy Bay for another round. 16 Handicapper score – 95. Located just an hour south of Perth city and with its fairways running along some of the states most rugged coastline, this links course is rated by many locals and visitors to Western Australia as the states toughest test of golf. The afternoon breeze can make many of the already hard holes, with blind tee shots and slick greens one of the best golfing challenges anywhere. Average shots which, on most other courses would still be in play are punished severely and golfers that find the fairway with their drive need to be super accurate with their approach shots to hit greens in regulation. A fine course and one that will always lure players back again and again to tackle the many holes they would play differently the next time around. 6385 metres from back tees. 16 handicapper score - 97.
International Golf Specialists has preferred rates and tee times with all the leading Perth courses and can tailor a golf package or tour to suit your golfing requirements and budget. Just contact us and we will show you that International Golf Specialists creates “great golfing experiences”! Not since Greg Norman in the early 1990’s has Australia been able to boast a world number one golfer. Adam Scott has shown that he is well deserved of the title with consistent performances week in and week out. Many had picked Scott to defend his US Masters title or to challenge strongly for the US and British Open crowns. Although his results at the first three majors of the year have been below expectations, there are signs that his game will only grow stronger and that he will be a hard man to knock off the top pedestal. With Jason Day the current world number seven and John Senden, Matt Jones, Steven Bowditch and Scott all having won on the USPGA tour this year, the popularity of golf in Australia is once again on the rise. The success of amateurs Oliver Goss and Min Jee Lee (both from Western Australia) are also helping to contribute to an increase in junior golfers taking up the game. Australia is blessed with weather conditions that allow golf to be played all year round. Within each state are courses which provide golf travellers constant variety of layout and playing conditions. Combine that with everything else that Australia has to offer away from the course and there are very few places that can compare with a golfing getaway Down Under. To experience for yourself the great golfing experiences on offer throughout Australia, contact IGS today to begin planning your Australian golfing adventure. Golfers in Western Australia have access to some of the most diverse and challenging golf courses in the world with options of traditional clubs, golf resorts and links style courses. For many visitors to Western Australia, part of the uniqueness of playing golf here lies in the diversity of the courses, each providing new challenges and tests of playing skill. Perth, the capital city of Western Australia, enjoys more sunshine hours than any other Australian capital. Golf here is affordable and most courses are easily accessible, and due to the fantastic climate, can be enjoyed all year round. With a population of 1.5 million people, Perth has a truly cosmopolitan feel but also allows easy commuting between the airport, golf and accommodation. The options of city or beachside hotels, golf resorts or self-contained apartments, means that there is accommodation suited for all groups and individuals. For those wishing to try their luck away from the fairways, Crown Casino offers more than 20 restaurants and bars. Located just 10 minutes from the airport and five minutes from Perth city, Crown Perth is a fantastic way to spend an evening unwinding with friends and reflecting on the days golfing adventures. To experience the amazing golf and everything else that Perth has to offer, contact the team at International Golf Specialists today. Golf in West Australia's South West - A Must Do! Often overlooked by international and interstate visitors are the fabulous courses on offer in the South West region of Western Australia. Located less than an hour from the Perth CBD, the courses on offer in this region are some of the top ranked courses in Australia. The Cut, Meadow Springs and Kennedy Bay provide unbelievable golfing experiences and are all within 15 minutes of one another. The Cut has ranked in the top 10 courses in Australia and provides some of the most challenging and scenic holes you will ever play. The links style course winds its way along the coast lining the Indian Ocean with many of the blind tee shots daunting to first time players. 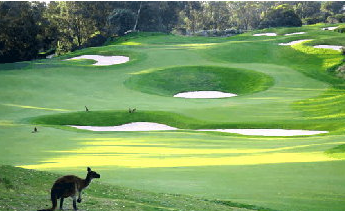 Meadow Springs is the sister course to the world renowned Joondalup resort and is equal in beauty and challenge. The open fairways allow for aggression from the tee but you will require accurate approach shots to get close to the pin on the undulating greens. 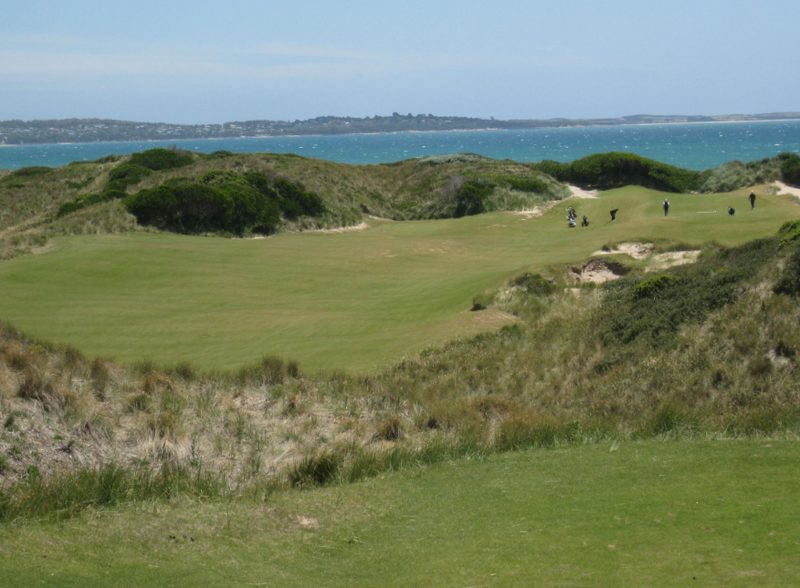 Kennedy Bay is a classic links course, carved through the sand dunes along the coast of Port Kennedy. With over 120 Scottish style pot bunkers and the prevailing breeze getting up after midday, this course provides a stern test of golf. 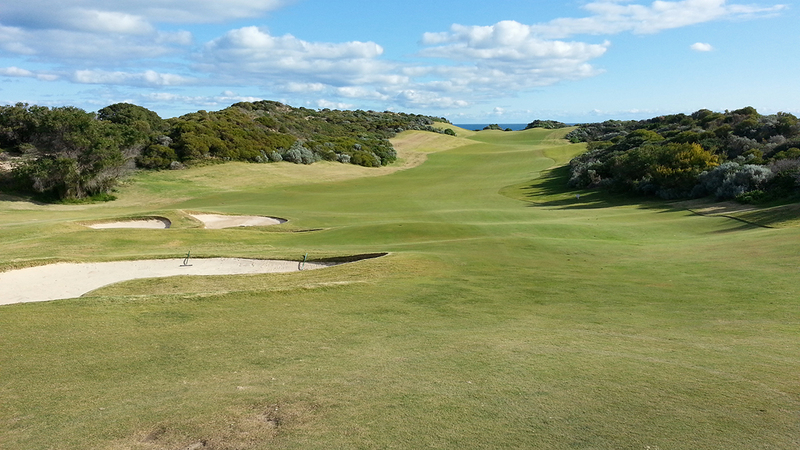 Further south is more remarkable golf with Capel and Dunsborough Links the standouts. In a popular tourist and wine growing region, these courses are accessible year round and guarantee a great golfing experience. 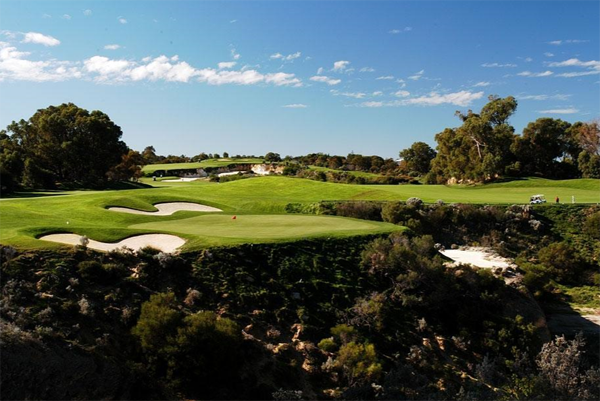 Check out a full list of Western Australia's finest golf courses. We offer a full range of custom golf tours throughout Western Australia. Perth’s Best Tests of Golf. 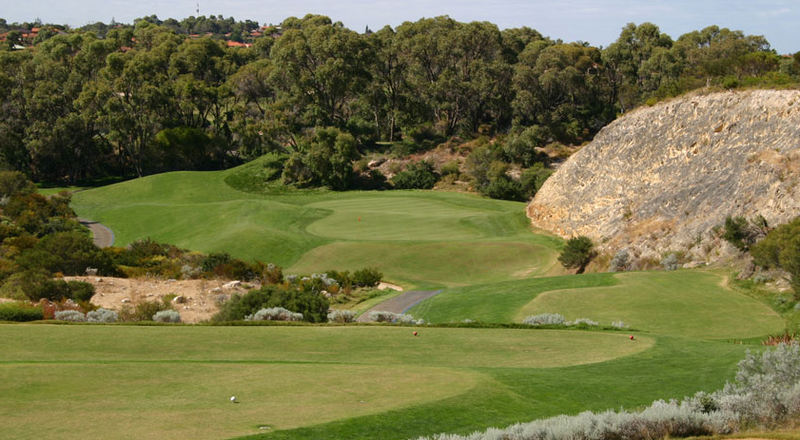 Joondalup Country Club: Lakes and Quarry courses. Playing 5926 metres from the back tees, golfers playing this resort course may think the wide fairways and large greens would be conducive to low scores. Reality is, tee shots need to be accurate and approach shots need to find the right part of the green to avoid tricky breaks which can confuse even those well accustomed to the nuances of the putting surfaces at Joondalup. Araluen: All 18 holes and 5953 metres of Araluen Country Club are as memorable as they are challenging. With dramatic changes in elevation on many of the holes and trouble on either side of the fairways, players new to Araluen may leave a lot of shots and golf balls out on the course, but no-one ever leaves without the desire to return for another crack at what is one of WA’s most scenic and tranquil golf adventures. Meadow Springs: The sister course to Joondalup Country Club, Meadow Springs has 18 holes of truly memorable golf and not a ‘bad’ hole to be played. The large breaking greens can leave very testing putts when approach shots are not hit to the right portion of the putting surface. Tee shots need to find the preferred side of the fairway and undulating lies on many of the pristine fairways can make what looks like a simple approach shot much more difficult than it may first appear. Four lakes, 67 bunkers and 6189 metres make Meadow Springs a terrific golfing challenge. Kennedy Bay. A true links style course, Kennedy Bay is located on the shores of the Indian Ocean. Its 18 holes measure more than 6400 metres and although the firm fairways provide extra yardage and run from the tee, the 110 bunkers and elevated greens make this course a challenge in calm conditions and a brute when playing in the prevailing afternoon breeze. First time players will learn a lot about themselves and their golf game and no matter what their final score, will always want to come back to Kennedy Bay for another round. 16 Handicapper score – 95. Lake Karrinyup: Western Australia’s championship course and the current home of the Perth International Golf Championship. Huge greens and wide fairways can provide players with a false sense of confidence and playing from the back tees requires accurate tee shots and good iron play in order to put together any sort of a respectable round. Some of Australian golf’s best bunkering, along with water hazards and fast greens make one of the finest courses in Australia a must play and a talking point for all visitors to the region lucky enough to play here. 6531 metres from the back tees. The Cut: Located just an hour south of Perth city and with its fairways running along some of the states most rugged coastline, this links course is rated by many locals and visitors to Western Australia as the states toughest test of golf. The afternoon breeze can make many of the already hard holes, with blind tee shots and slick greens one of the best golfing challenges anywhere. Average shots which, on most other courses would still be in play are punished severely and golfers that find the fairway with their drive need to be super accurate with their approach shots to hit greens in regulation. A fine course and one that will always lure players back again and again to tackle the many holes they would play differently the next time around. 6385 metres from back tees. 16 handicapper score - 97. The island nation of Bali has long been a favourite golf holiday destination with Australians. With so many different parts of the island offering a huge variety of experiences, no two visits to Bali need be the same. The same can be said about golf in Bali. The courses range from the Greg Norman designed coastline masterpiece of Nirwana to the Bali Handara Golf & Country Club - nestled in the crater of an extinct volcano at an altitude of 1142 meters above sea level. Both of these courses have ranked in the Top 50 courses in the world and are a must play for keen golfers visiting Bali. New Kuta Golf Course is located close to the airport and main tourist areas of Kuta and Jimbaran Bay. 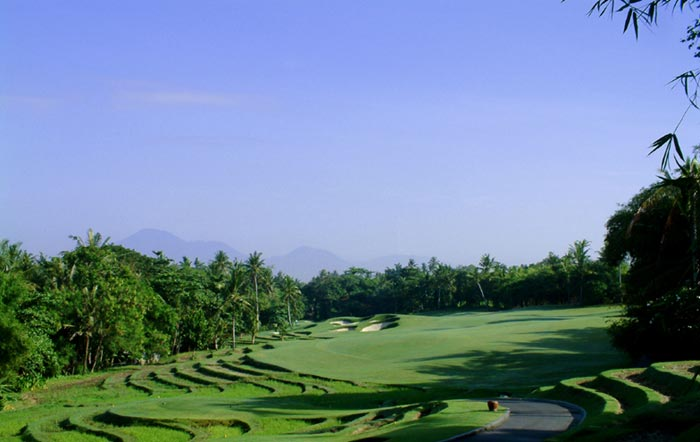 With greens perched hundreds of feet above the ocean, this spectacular golf course played host to the Indonesian Open in 2009 and offers multiple tee positions to challenge even the most skilled golfer. With increasing numbers of travellers visiting Bali each year, flights are available every day from almost all of Australia’s main centres. Virgin Airlines, Jetstar and Garuda Airlines all offer competitive pricing and multiple flight times to cover most arrival and departure requirements. Plus, the short flight time means families can enjoy an international holiday without the stress of having to keep children occupied for long periods. There are accommodations options available throughout Bali which will cater for all tastes and requirements. There are traditional hotels offering excellent rates for single, double and group bookings. Fully serviced villas, often with their own secluded pool, offer a quieter and more relaxing break and staying at any of Bali’s golf resorts mean that you are only ever a short cart ride from your next tee time. To begin organising your Bali Golf Adventure, speak with International Golf Specialists. By combining our first-hand knowledge of Bali’s golf courses, accommodation and attractions and the individual requirements of your travelling party, we can tailor an itinerary to ensure you get the most out of your golfing getaway. I recently had the pleasure of playing golf at Cape Kidnappers Golf Course located in New Zealand’s Hawkes Bay. It is not hard to see why the golf course is currently ranked at No. 38 in the best golf courses in the world and why people from all corners of the globe come to play golf here and enjoy the fabulous accommodation provided on site. The drive in to the complex is along a purpose built road which winds for 8 kilometres through farmland and pine forests. The beauty of the drive in is merely a taste of what awaits golfers and those spending time relaxing at the lodge. We were fortunate enough to be shown around the accommodation and lodge facilities before our round. The thought that has gone into designing and building every aspect of the facility is fantastic. Each room has its own unique characteristics and artefacts purchased from different parts of the world add to the charm. We sat and had a coffee on a couch once owned by Bruce Willis and Demi Moore. The gym has punching bags dating back to the early 20th century which were sourced from Trinity College in Dublin. In fact, there are so many unique aspects and items throughout the lodge that provide a feeling of nostalgia that you can easily forget that it was opened in 2004. After a look at the luxurious accommodation, we took the short ride to the clubhouse. One of the things that impresses me most about Cape Kidnappers is the service we received from the staff. We were met at the door by Head Professional, Jon McCord and we couldn’t have been made to feel more welcome. Jon showed us through the clubhouse, pro shop and bar facilities and then gave us some advice on how best to tackle this Tom Doak designed course. The opening hole is a testing Par 4 playing from left to right from the tee and requiring an approach shot to an elevated green. The second hole is a solid par 5 requiring an accurate drive and approach shot avoiding strategically placed fairway bunkers. Playing from the back markers, the course measures over 6500 metres. The tee shot on the Par 5, 4th hole is one I will long remember. Requiring around 200 metres of carry across a deep gully - with no chance of finding any ball that doesn’t quite make the journey - this shot was one that I was very pleased to have land in the fairway. The back nine is where the scenery of the Cape Kidnappers region becomes spectacularly clear. With fairways winding out towards the Pacific and greens perched on top of cliffs 400 feet above the ocean, there are views galore and we were often distracted from our golf for photo opportunities of the course and surrounds. The 600 metre Par 5 – 15th aptly named ‘Pirates Plank’, is a hole that people familiar with New Zealand golf courses would identify. This is one spectacular hole with a 120 metre drop off the left side of the fairway and a green with nothing behind it but blue sky and the crystal clear water of the South Pacific. All 18 holes on Cape Kidnappers will stick in your mind long after your round is complete. The conditioning and manicuring of the course is impeccable. The fairways are lush and there is no possibility of getting a bad lie. The greens run perfectly true every time. Nothing is out of place and with a busy day seeing only 30 golfers playing the course, you will never feel rushed or be held up by a slower group. There are so many great holes at Cape Kidnappers. I found myself thinking about my round for weeks afterwards, how I would play things differently next time and which of my golfing friends I would most like to have play there with me. Cape Kidnappers is a strong test of golf but worth every step and stroke. I cannot recommend Cape Kidnappers more highly and I can’t wait to get back there again for another crack at this magnificent golf course. To begin your New Zealand golfing adventure, contact International Golf Specialists and let us put a great golfing itinerary together for you. 2013 has been one of the best years in recent memory for Australian golfers competing on the international stage. Not since Greg Norman’s dominance of the game in the 1990’s has Australia enjoyed so much success, with the highlight this year being Adam Scott’s victory at The U.S. Masters in April. Scott then followed his first Major win and Australia’s first green jacket, with victories at The Barclays Championship, The Australian PGA and the Australian Masters. The success of Scott and fellow Australians Jason Day and Mark Leishman has sparked an increased interest in golf in Australia with greater numbers of players taking up or returning to the game. There are certainly some exciting times ahead for Australian golf. 2013 has also been a great year for International Golf Specialists. With demand for golf travel and golf holidays increasing, we have added new destinations including Mauritius and Malaysia. Our local knowledge of all our featured destinations means we can speak firsthand of the courses and all the other attractions on offer. Golf travel to international courses and resorts as well as Australian golf holidays can be organised through International Golf Specialists and ensure a hassle free golf holiday. Simply provide our team with your group’s requirements to start organisation of your personalised golf tour. We are always more than happy to talk to our clients to find out exactly what they are looking for from a golfing getaway and having been to all our destinations, we can recommend the best courses and off course activities for you and your golfing and non- golfing travelling partners. 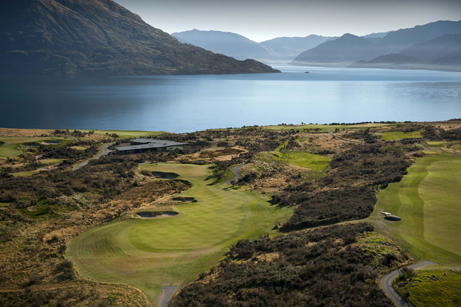 The 2014 New Zealand Golf Open to be held from February 27th to March 2nd at The Hills Golf Course in Queenstown promises to be New Zealand’s most lucrative golf event. With a purse of $850,000 and sponsors Hilton Hotels and BMW on board, the tournament will attract top professionals from the Australasian and Asian Tours. International Golf Specialists provides options of New Zealand Golf Open Packages – tailored to suit the requirements of travelling parties and also offer our clients the convenience of joining an exclusive International Golf Specialists - 8 night Escorted New Zealand Golf Open Tour. Joining us to experience five rounds of golf at the amazing courses in the Queenstown region as well as two days at the New Zealand Golf Open watching some of the best players in the world show how the game can be played, ensures the most relaxing of golf holidays. An International Golf Specialists Tour offers so much more than just a golfing holiday. Some of your most lasting memories will come from experiences away from the golf course. Queenstown and the Central Otago region offers more adventure, adrenaline and cultural experiences than perhaps anywhere else in the world. These experiences are often what make a tour truly memorable and will have you wanting to return for so much more than just the great golf on offer. As well as providing access to the best of Queenstown golf and accommodation, IGS tours provide options of golf free days for golfing and non-golfing travelling partners to enjoy everything else on offer away from the course. Gold panning and wine tasting tours provide the perfect opportunity to take in the incredible scenery in this spectacular part of the world. A day trip or overnight cruise through the Milford Sound will give nature lovers the perfect excuse to get away to one of the New Zealand’s most popular tourist destinations. The more adventurous traveller might like to try skydiving, white water rafting, jet boating or paragliding. Evenings can be spent exploring the local restaurants and bars, enjoying the fantastic local produce and sampling some of the amazing wines on offer in this world renowned wine producing region. 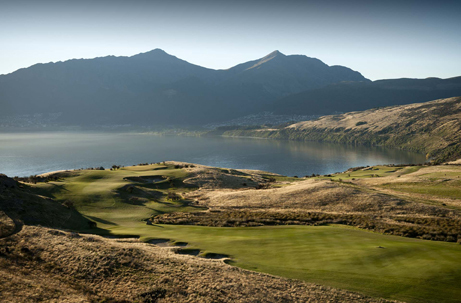 Whatever your tastes, golfing ability and requirements, talk to IGS today about experiencing the 2014 NZ Golf Open and everything else that beautiful Queenstown has to offer. I had the pleasure of meeting Ryan Brandeburg in Perth, Western Australia recently! Ryan is the Director of Golf for Cape Kidnappers and Kauri Cliffs… the only golf courses in New Zealand rated among the World Top 100 golf courses. 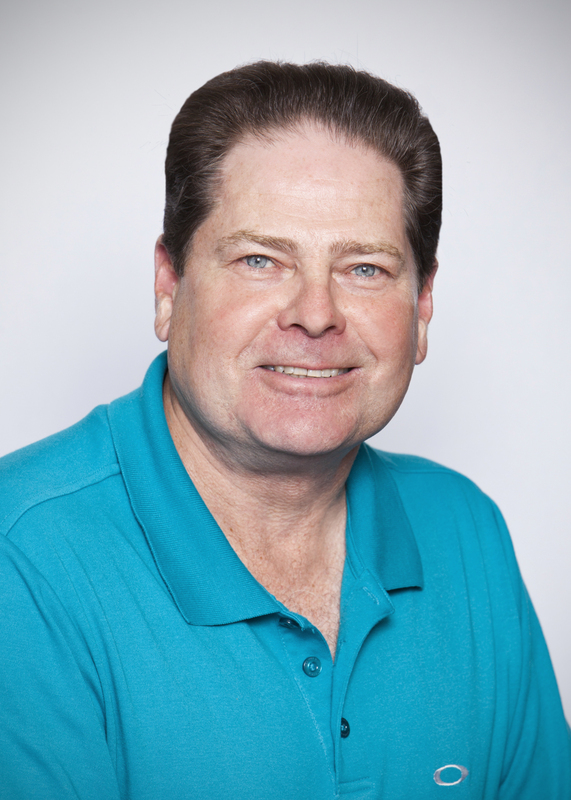 Ryan is a member of the PGA, a very keen golfer, and an even keener advocate of these wonderful courses. Both courses have luxury, boutique accommodation as part of the golfing experience, which receives international acclaim by those “bucket list” golfers who make the trip to these amazing golf destinations. Kauri Cliffs, Cape Kidnappers and Matakauri Lodge in Queenstown are owned by retired American business man, Julian Robertson, who has invested significantly in these five star properties through his love of golf … and New Zealand. Julian, who plays golf most days, enjoys sharing his golf resorts with those who appreciate the quality, yet simple pleasures of a golf related holiday. At International Golf Specialists (IGS), we have been so impressed with the golf experience at Kauri Cliffs and Cape Kidnappers, that we are planning some exclusive New Zealand golf tours around these acclaimed golf courses for 2014. We will work closely with Ryan to secure good rates and inclusions for our tours. Stay tuned to our next Newsletter for details of these tours. In addition, IGS can tailor a golf tour itinerary to include major events such as the US Masters and the other golf Majors. Put your own group together, or join an exclusive IGS tour for that special golfing dream. I have recently returned from Tasmania where I hosted our very first, International Golf Specialists golf tour to Barnbougle Dunes. Barnbougle Dunes is an amazing golfing destination, located 50 kilometres north east of Launceston, just near the seaside fishing village of Bridport. There are two purpose built links courses, the older Dunes course and the newer Lost Farm course. Both are constructed within and around the sand dunes of the Forrester River, and sit adjacent to Bass Strait. Both courses have famous American designers, Tom Doak (Dunes) and Bill Coore (Lost Farm) and are designed on the lines of the famous British and Irish links courses. The Dunes is only 8 years old, but looks like it has been around for a hundred years. 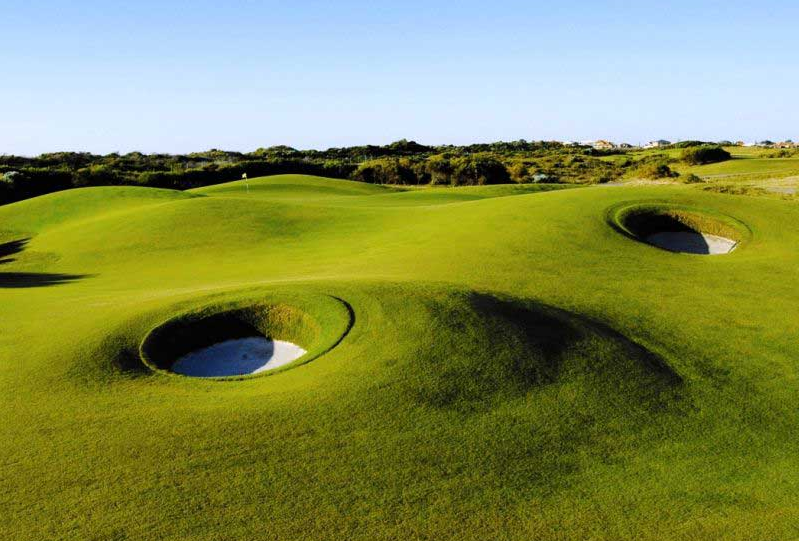 The Dunes course is Golf Digest #1 Public Access course in Australia … Lost Farm is #2! The tour was so successful, we have arranged two more group tours to Barnbougle. The dates are 03 -06 December 2013 and 18-21 February 2014. Both tours are listed as “Exclusive Tasmania Tour” on the website. Some comments from those that participated in the recent tour … “a fantastic trip with a great bunch of guys to a sensational golf location”. “This must be what golf in heaven is like”. “Barnbouglewas something special … can’t wait to go back again next year”! We have great rates and contacts at Barnbougle Dunes, so why don’t you join an International Golf Specialists group tour, or let us prepare a specialised itinerary for you & your golfing mates and experience a golfing “Mecca”! I’m sure for all the keen Australian golfers who got up early to watch the last round of the 2013 US Masters, we could not have dreamed of two Aussie golfers being in contention “down the stretch” for the coveted and elusive “Green Jacket”. For Australian Adam Scott, it was unfinished business after his runner up at the 2012 British Open, and he will now go down in the records books as the first Australian to win a US Masters. For Jason Day, it will be a bitter / sweet experience, getting close again after a runner up place in 2011, however no one doubts his ability and class, and many believe he is a Major winner of the future. It is hard not to get excited by the atmosphere and traditions of The US Masters and what a golfing dream it would be to participate on a golf tour of the USA and include a visit to the Augusta Golf Club during the US Masters. International Golf Specialists (IGS) can tailor a golf tour itinerary to include events such as the US Masters and the other golf Majors. Put your own group together, or join an exclusive IGS tour for that special golfing dream.